Director del Centro Nacional de Cortometraje de Turín. 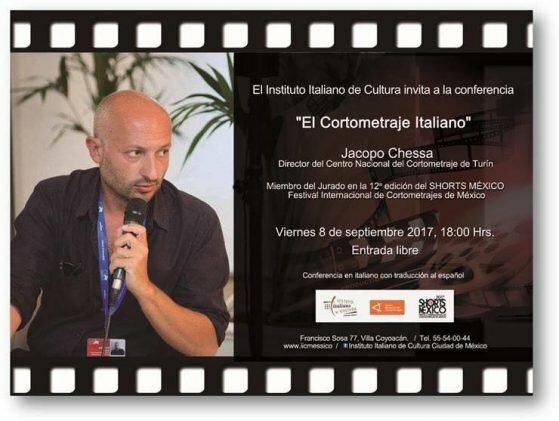 Jacopo Chessa (Torino, 1973), majored in film history and worked largely on the 1950s and 1960s in French cinema. He has published two books and a number of articles; cooperated with the Archivio Nazionale Cinematografico della Resistenza, the University of Torino and the Université Sorbonne Nouvelle, Paris 3. In 2010, he founded the production company called Prime Bande, which specializes in the history of manufacturing and the workers’ movement. Since the beginning of 2014, he has been the director of Aiace Nazionale, the first Italian association of art theatres, and of the Centro Nazionale del Cortometraggio, (National Short Films Centre), a film archive and agency which promotes Italian short films. Since 2016, he has directed the Torino Short Film Market. Further, he works as contract professor at Université Sorbonne Nouvelle, Paris 3.